HOUSTON, Texas, May 17, 2016 (SEND2PRESS NEWSWIRE) -- Paragon Pools of Texas is the winner of the 2016 BBB Pinnacle award. 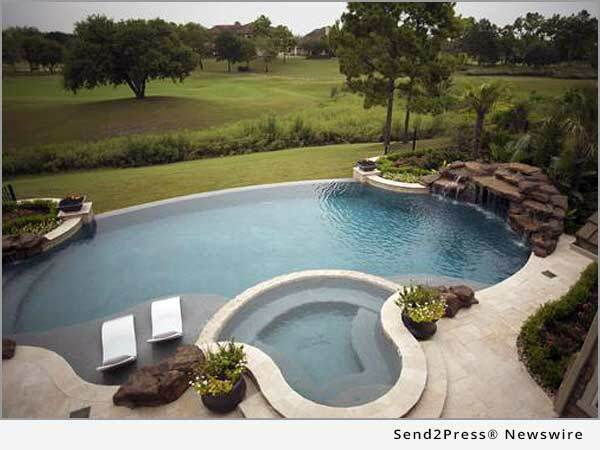 Over the 9 years in business, Paragon Pools has become one of the elite pool builders in Houston. From humble beginnings, the 3 owners, Leo Kleiweg, David Pavlesic, and Dan Pavlesic, have taken great pride in their quality end product. Their dedication and integrity has gained the trust of Houstonians' wealthiest homeowners and custom home builders. "We consider ourselves a boutique builder...quality not quantity. Each project is unique and a work of art," says David Pavlesic. He adds, "Because we choose to keep our staff small to maintain this level, we have to limit our clients to a manageable number. Our clients are now blended with a mix of wealthy homeowners and luxury custom home builders who ask us to design and build the perfect outdoor spaces to accent their homes and match their lifestyle. "Our vision is growth -- not in company size, but in project size. To maintain the high level of quality we offer to clients, our company goal is not to add employees. Paragon Pools founders would not risk losing the high quality that has put us where we are today. Instead, we hope to offer our skill level and precision designs in larger, more intricate and intensive projects." Paragon designers and founders stay in touch with the constantly changing looks, engineering, materials, and designs in the business. We plan to continue to offer and provide our unique product to the clients we work with. We have built and continue to build a level of trust in this industry that is second to none. Paragon will continue setting the highest standards and raising the bar in design and workmanship. From the beginning, we have built our company on the highest of morals and integrity. Choosing and entrusting a pool builder is overwhelming. Common practice in the industry is to sell one thing and deliver another. We don't make false promises or exaggerate details. We understand the large investment our clients are making in us and we honor their trust. The projects are handled from beginning to end by the same person...not handed off from the sales team, to the designers, to supervisors, to subcontractors, etc. Each client becomes part of the Paragon Pools family. Learn more at: https://www.paragonpool.com/. Paragon Pools, 20220 Hempstead Rd., Ste. 42, Houston, TX 77065. Office: 713-869-SWIM (7946).